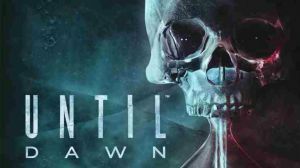 Until Dawn is an interactive drama survival horror video game developed by Supermassive Games and published by Sony Computer Entertainment exclusively for the PlayStation 4. The game revolves heavily around player's decisions which will have a permanent and lasting effect throughout the playthrough. Players have limited interaction with the objects in the environment, QTEs (Quick-time-events), and decision-making. The "Butterfly Effect" is heavily applied in the game, as the player's choices will branch out to a series of events that will play a greater role in the later chapters. Welcome to Supercheat's unofficial guide to the game. Please use the menu on the right to navigate. Due to the structure of the game, some details, screenshots, and videos may be different to what you'll encounter. We will try to provide as much information as possible regarding the chapters. Warning: The guide will feature spoilers especially about the outcome of certain decisions and butterfly effects so be warned! No discussions open for Until Dawn at the moment.